After a lot of thinking (and takes), we have uploaded a video to our new YouTube channel! We will be trying to post lots of videos all about us, and more specifically, introducing all the birds! First up is Koby our European Eagle Owl! Go to ‘Meet Our Birds’ page, and comment on the video who you would like to know more about!! Previous PostPrevious WEDDING SALE NOW ON! They provided an excellent service at my wedding. The owls performed their jobs excellently and our guests were amazed! People still talk about the owls now! It was something very different entertainment wise and it went down really well with all guests, even those who are scared of birds! we had so e amazing photos as well! My husband and I spent a lovely morning meeting Konnie and her birds of prey, on a one-to-one basis. Fantastic value and extremely informative. Loved it! Paul and I were so excited to book your beautiful birds for a meet and greet to kickstart our wedding reception in November. Our expectations were really high and yet somehow you were able to exceed these at every step! 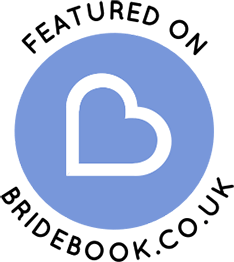 Booking was easy and stress free, you always respond so quickly to emails which makes a stressful time such as planning a wedding reception so much easier. You were so understanding of my concerns about my autistic niece and even arranged a 1 to 1 meet for her with the birds before the big day at our venue to help her feel comfortable. This made a huge difference to her and us - she still frequently talks about her bird friends even a month later. We kept the meet and great a secret as a suprise for our guests and it really did add a wow factor and excitement to their arrival. Everyone was talking about how beautiful and impressive the birds were whilst learning about them. Not many people are lucky enough to have Owls and Kestrels in their wedding pictures - our pictures are truly stunning. We will treasure these and the memories made that evening. Thank you Konnie & Lisa for all of the care you showed before during and after our event and for helping to make our day even more special! We look forward to booking experiences with your wonderful birds in the future too! 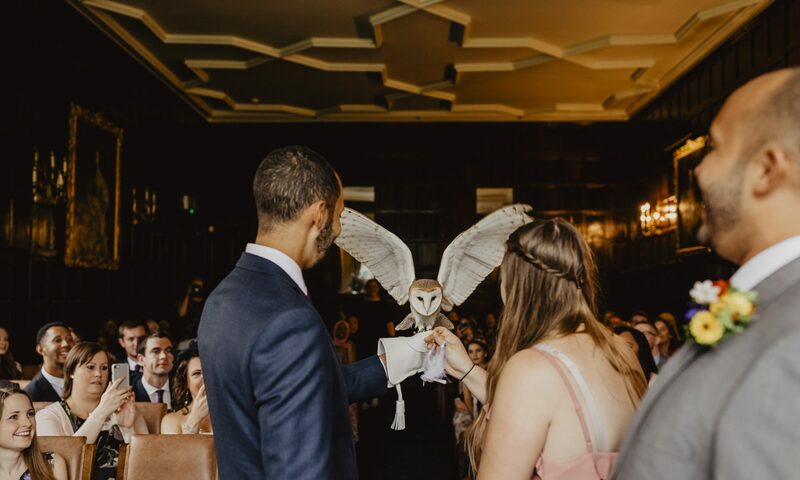 My sister organised an owl ring bearer for us for our wedding day. Billy the owl was absolutely perfect and such a great surprise for all of our guests! We were also treated to our own surprise as the ladies brought along Timmy the American kestrel as an extra! Both the birds and the ladies were so accommodating! We couldn’t have asked for more and it truly made our day the most special of our lives! i would just like to say a massive thank you to you all and your amazing owls for making my day very special, they done a great job on the 26th of October this year,the team was great and very nice people ....a big thank you again. Welcome to our new business venture: Apollo Falconry. We were previously Birds4AllOccasions. If you have any questions, contact us!